This is one of the most common questions we get from investors and the answer is: it depends where you want to buy! It depends on your budget, what stock’s available, the rental demand in the area and your overall investment plans. So the best thing to do is speak to a local expert, like us. We’ll be able to tell you which type of property is most likely to suit your goals and advise you on what things you need to consider when you’re looking for your next investment. Houses tend to grow better in capital value than flats but flats are often more readily available and in greater demand in cities. With houses, you’re responsible for all the maintenance and repairs of the property and grounds. With flats there is requirement to pay for maintenance communally. That means you share the cost of bigger works, but you do need to check whether there’s a ‘sinking fund’ in place to cover the cost of the next batch of work. If people haven’t been paying enough over recent years, or if some haven’t been paying at all, you could end up with a surprise quote and bill for thousands of pounds of work you didn’t know about! Flats may have restrictive covenants that dictate whether the property can be let, how it can be let and what residents can and can’t do. Assuming it’s not listed, you’re likely to be able to do pretty much anything you want with a house, but always check if you need planning or building control checks. With a house, there’s more likely to be the opportunity to add value through extension or conversion of a house. Improving a flat is usually limited to internal decorative/cosmetic changes, although sometimes you can create another bedroom or en-suite. How many years are left on the lease? Mortgage companies are less likely to lend when a lease length drops to below 80 years. That’s because the uncertain future can reduce the value of the flat dramatically as only cash buyers can typically bid for the property. Are there any restrictive covenants? For example, you may not actually be able to let at all, or only be able to let the property to one tenant and sub-letting might not be allowed. There may also be restrictions on parking, use of the communal grounds and the type of renovation you can carry out. How many of the other flats in the building are let? If the answer is ‘none’, you could get complaints from other residents who might not appreciate non-owner occupiers. If you do decide to buy a flat, it’s important to make sure the solicitor or licensed conveyancer you use is experienced in dealing with leasehold properties, and bear in mind their fees are usually higher than for handling freehold transactions due to the additional legal paperwork involved. 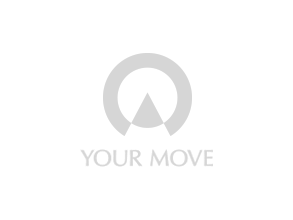 If you’ve got any queries or concerns about buying a flat, come and speak to us in your local Your Move branch any time. We’re always happy to help and our team will be able to talk through with you the pros and cons of investing locally in both flats and houses. Our initial mortgage consultation is free. We will charge a fee between £399 and £999 on application. The amount we will charge is dependent on the amount of research and administration required. We reserve the right to charge a subsequent fee of £99 for each further application that may be required.